Deluxe Wicked Adult Wig.Includes: One Deluxe Wicked Adult Wig.Available Size: One Size Fits Most Adults and Teens. 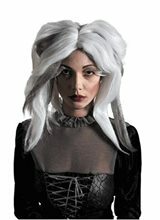 *Costume and Accessories Not Included.This dead duchess wig features a funky full cut wig with gray and white styling, creating an old time, gothic appearance.Note: Wigs are not returnable. 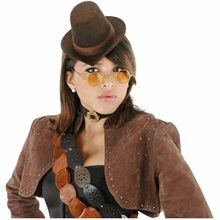 Steampunk Kit Female.Includes: Hat, glasses and choker.Size: One Size Fits Most Adults. *Costume, Jewelry and other Accessories Not Included.Kick your steam-powered engine into high gear with this authentic feminine steampunk kit. 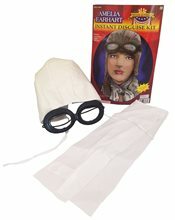 Complete with small Victorian style hat, glasses and choker, this is the perfect accessories kit for your steampunk costume. 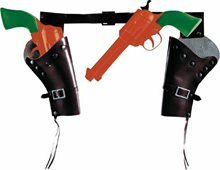 Cowboy Guns and Holster.Includes: Two Guns and one Holster. Available Size: One Size Fits Most Children and Teens. *Costume and Accessories Not Included. Sold Separately. Features Two Cowboy Guns and Holster. Not available to customers in New York, California and other states with restrictions on toy guns.